The legendary “Tiffany Experience” is a perfect blend of the finest merchandise and exemplary service within a luxurious setting characterized by warmth, graciousness and attentive care. Each store – no matter where it may be – radiates the style and energy of our iconic New York City location. Our luxury retail environment offers opportunities for individuals who are warm, engaging, have a passion for perfection, and truly enjoy the art of selling and celebrating our clients’ most important milestones. A visit to Tiffany is a special event for our customers, whether they are pampering themselves with an indulgent treat or shopping for a memorable gift. They bring us their greatest dreams – of style, glamour and love – and it is our obligation to honor those dreams with grace and artful understanding. Our Sales Professionals embrace the significance of the Tiffany Experience and are honored to play such an important role in their customers’ lives. They are naturally curious about their clients and the world around them. They are intent listeners and use the information they glean to do more than the customer expects. Tiffany Sales Professionals are responsible for developing and managing new sales opportunities and cultivating lasting relationships built on creating a deep understanding of our customers and extensive Tiffany knowledge. If you are a motivated, curious and ambitious, client-centric retail or service industry professional with a positive attitude and a true passion for style and luxury, click here to search for an opportunity near you. The sales team in each Tiffany store is supported by operations professionals who use their outstanding service skills to engage clients on the sales floor, as well as provide industry-best post-sales service. The ideal candidate is a strong communicator who loves working with internal and external customers, eagerly supports all sales endeavors and has a deep appreciation for doing things better. Sales support, process efficiency and procedure compliance is the name of the game in operations. If you are a motivated and ambitious service-minded retail professional with a positive attitude and a true passion for style and luxury, click here to search for an opportunity near you. Being a leader at Tiffany means being an inspiring mentor, agile teammate, passionate coach, and role model for perfection. Our Store Directors set the expectation for unsurpassed service, create a luxurious environment, and build masterful relationships that drive business throughout the local community. 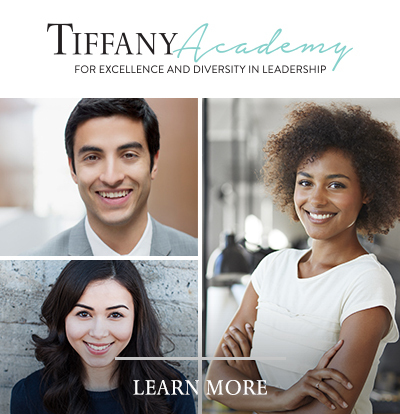 We look for attentive leaders who can take an innovative approach to motivating and engaging a team of enthusiastic individuals who thrive on the Tiffany Experience. All retail employees at Tiffany are encouraged to grow their careers through professional and personal development, internal promotions and retail management opportunities. If you are a motivated and ambitious service-minded retail professional with a positive attitude and a true passion for style and luxury, click here to search for an opportunity near you.